Professor Charanjit Singh Shah’s book “Redefining Indian Smart &Sustainable Cities” offers delightful reading that compels reflection and urges you to look at and live in Cities as vibrant manifestation of the humans. The sheer comprehensiveness of the subject-matter and its detailed description that he has handled with aplomb without sacrificing historical facts is both reassuring and illuminating. Reassuring, because you feel you are reading real-life episodes, nonfiction. The book was formally released at a conference held at Hotel Eros, Nehru Place, New Delhi on 12th July, 2017 by Sh. 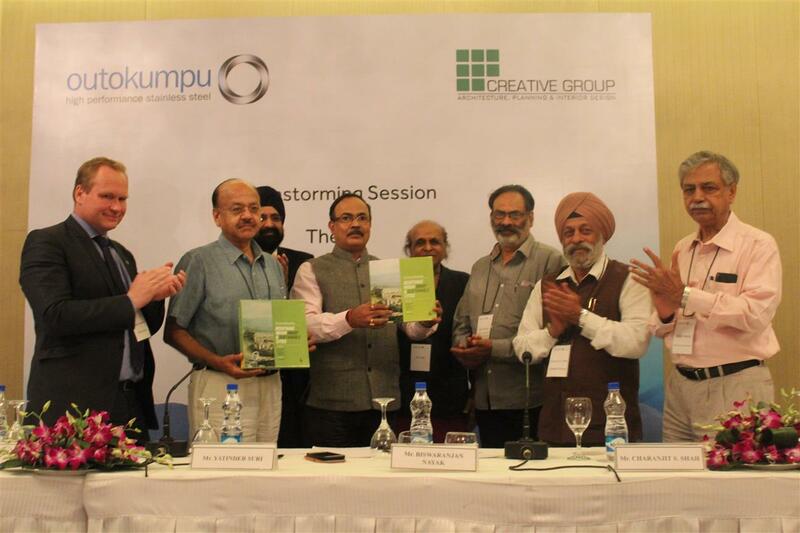 Nayak, President of Council of architecture and other great eminent personalities. The release ceremony was concluded with a brain storming session with various track holders to find way for proper program in designing and execution in creating smart sustainable cities of tomorrow, the dream come true of the great visionary personality respected Prime Minister of India Shr. Narendra Modi.